Arrests For Illegal Border Crossings Hit 46-Year Low Under the Trump presidency, there has been a dramatic shift in arrests of undocumented immigrants from the Southwest border to the interior of the nation. A U.S. Border Patrol officer stands near prototypes of President Trump's proposed border wall in San Diego. Border officers apprehended 310,531 people for being in the country illegally in fiscal 2017, a 25 percent decrease from the year before. Arrests of people trying to cross illegally into the U.S. from Mexico plunged to the lowest level since 1971, as fewer people attempted the trek, the Department of Homeland Security announced Tuesday. Meanwhile, immigration arrests in the interior of the country increased by 25 percent, the data show. The newly released data provides the most comprehensive look yet at how immigration enforcement is changing under the Trump administration. The dramatic shift in arrests of undocumented immigrants from the Southwest border to the interior of the nation continues to be a prominent feature of the Trump presidency. "Overall, removals are down because the border's under better control than it has been in 45 years," said Tom Homan, acting director of Immigration and Customs Enforcement. New data released by DHS show that Border Patrol arrests are at a 46-year low. 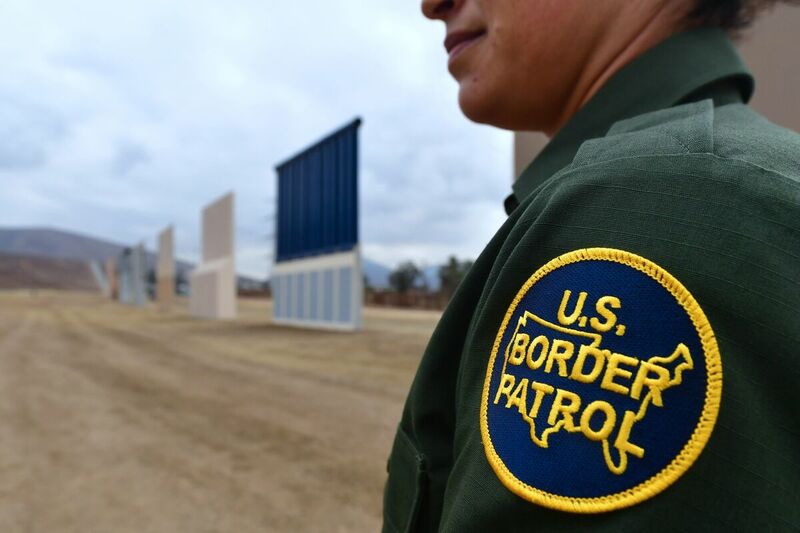 Border officers apprehended 310,531 people for being in the country illegally in fiscal 2017, a 25 percent decrease from the year before. Meanwhile, arrests by agents with ICE in the interior of the country spiked from the year before to 143,470 immigrants — mostly Central Americans. Shortly after taking office, Trump ordered immigration agents to change their priorities. No longer would they only arrest unauthorized immigrants who had committed serious crimes or had entered the country recently. Under Trump's crackdown, federal officers were encouraged to arrest anyone they come across who is in the country illegally. As a result, arrests of so-called "non-criminal aliens" — immigrants whose only crime was an immigrant violation — have risen 42 percent. ICE acting chief Homan says arrests of gang members — including the violent MS-13 gang — has jumped 83 percent. Homan stressed that 92 percent of all ICE arrests this fiscal year were of those who had criminal convictions. The arrests were of immigration fugitives or those who illegally re-entered the country. "We arrested more criminals this year than last year," Homan said. While the numbers of people trying to cross the southern border declined 25 percent, Ron Vitiello, acting deputy commissioner of Customs and Border Protection, said the agency is still concerned about continuing illegal entries by families and unaccompanied children from Central America. Some immigrants in shelters in Mexican border cities say they are now afraid to cross because of tough talk coming from Washington and stepped-up arrests in the interior. Additionally, families living in the country illegally say they are fearful of going to work, shopping at the supermarket, picking their kids up at school or attending church.